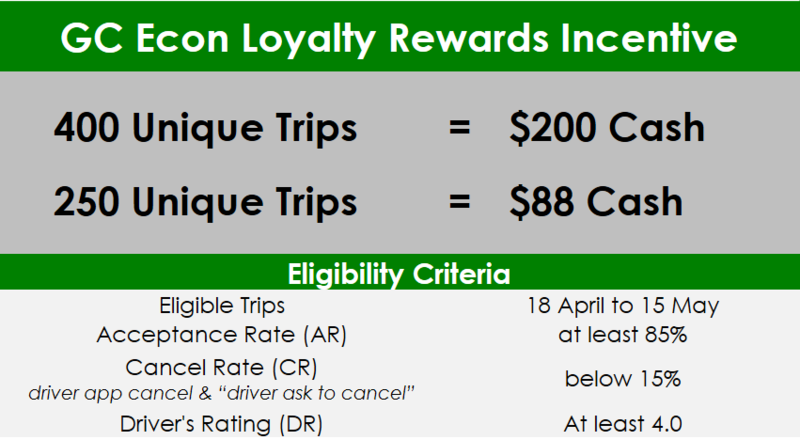 Fare guarantees up to $36 Per Trip This Week! 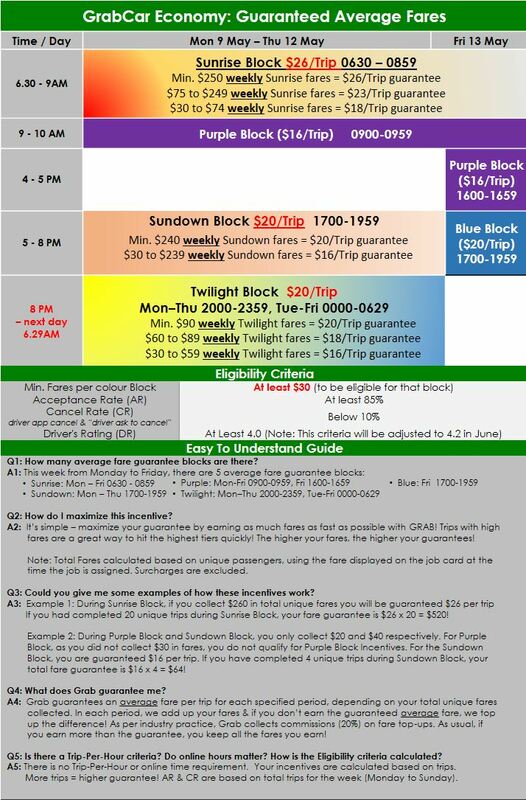 New Incentives for Twilight hours too! 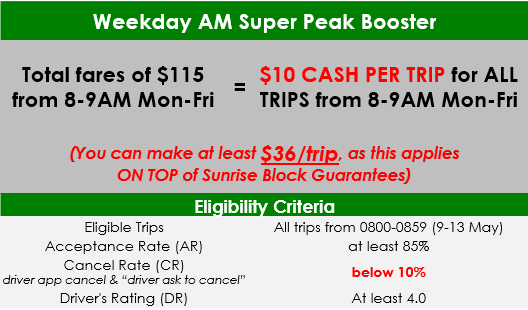 for every trip from 8-9AM on weekdays! 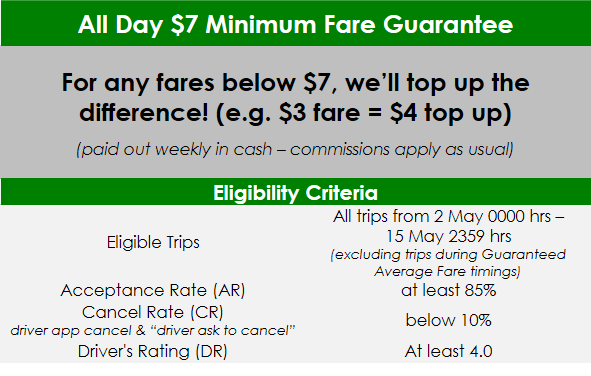 Fare guarantees up to $26 Per Trip This Week! New Incentives for Twilight hours too! Drive as much as you can on GRAB! The more fares you collect, the higher your Average Fares Guarantees! Grab-Your-Friends To Drive with GrabCar & Earn Even More! We have upsized our Grab-A-Friend Referral Program to enable you and your friend to earn up to $1850! Save more by renting your car through Grab! 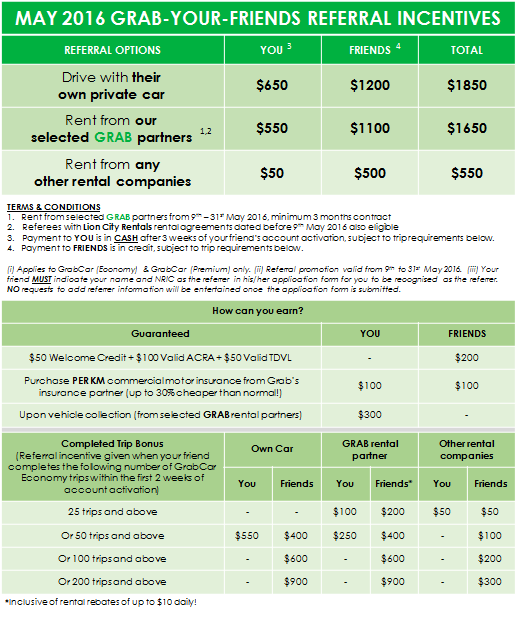 Rent your car from Grab rental partners and enjoy the following benefits!